How much water do you drink a day? Eight glasses of 8 ounces each? How much should you drink a day? According to the Mayo Clinic, adult men should drink 3 litres of fluid a day while women should have 2.2 litres. Eight glasses of 8 ounces only equates to 1.9 litres. Now, many people that know me would call me a water fiend – I tend to consume about 3 litres a day on average and water is my preferred source of fluid. 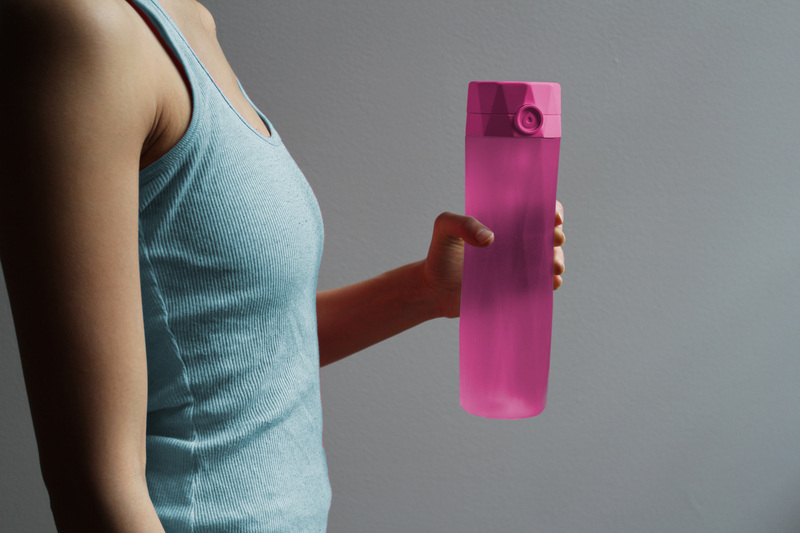 HidrateMe is the gadget of my aquatic dreams (and your tool to meet your hydration goals). 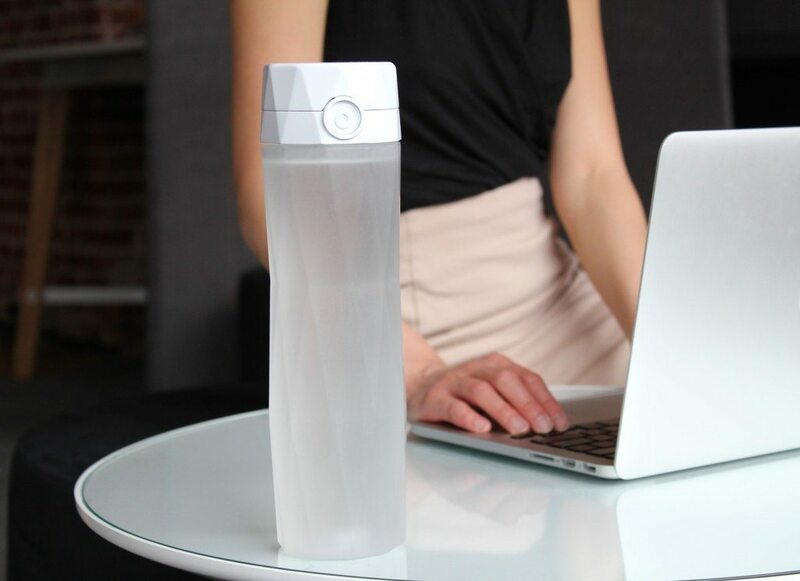 HidrateMe is a smart app-enabled water bottle that ensures you stay hydrated. The creators have a simple goal of making you more aware of your water consumption and keeping you hydrated and healthy. To them, your water bottle should be an extension of you and within reach at all times. This smart gadget works very simply. A sensor located inside the bottle cleverly tracks water that exits the bottle through the mouthpiece. The sensor communicates this information to the app via Bluetooth. Based on the information you’ve entered, the bottle will glow to prompt you to drink more water and also to let you know you’ve achieved your hydration goal for the day. To begin, you download the HidrateMe app, which is free for both iOS and Android. You answer questions about your lifestyle such as your weight, how active you are, and the app also records your location. Based on all of these elements, HidrateMe will determine your hydration goal. 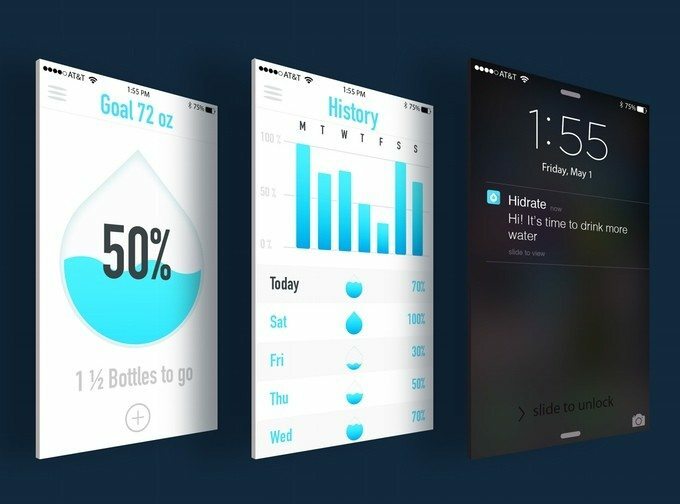 You’ll get notifications to drink more and see your percentage of hydration as well as your hydration history. Your goal may change daily depending on how much you exercise, your environment and location (such as a more humid place like Florida), and it even syncs with your wearables. With such a dynamic app, you’ll never go thirsty again. HidrateMe holds up to 24 ounces (710 mL) of water. It’s dishwasher safe and leak proof and is made of BPA-free Tritan plastic. The battery is easily replaceable but lasts for over a year so you won’t worry about charging it. The sensor inside the bottle also notices when you’ve taken the lid off as well, which means that you’re able to clean it without miscalculating your hydration. Drinking water is not only essential for our health, but also something we need to track and maintain. 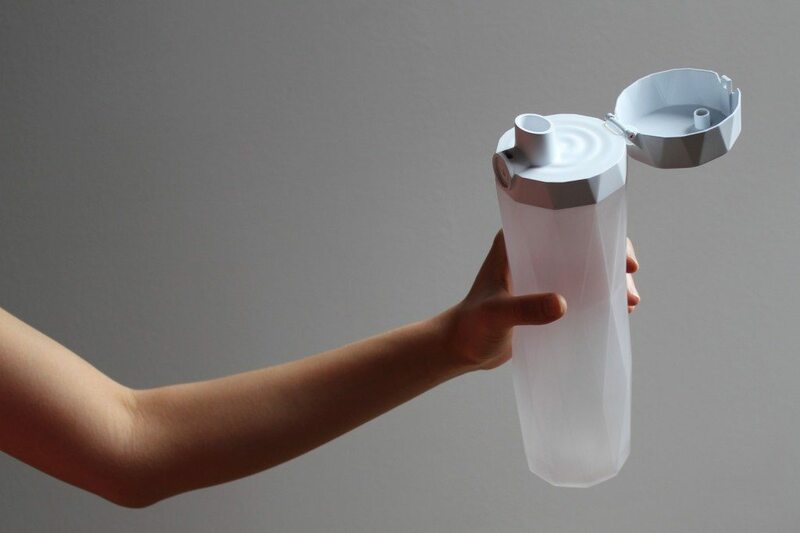 HidrateMe allows you to keep up with your water intake in the coolest way possible. 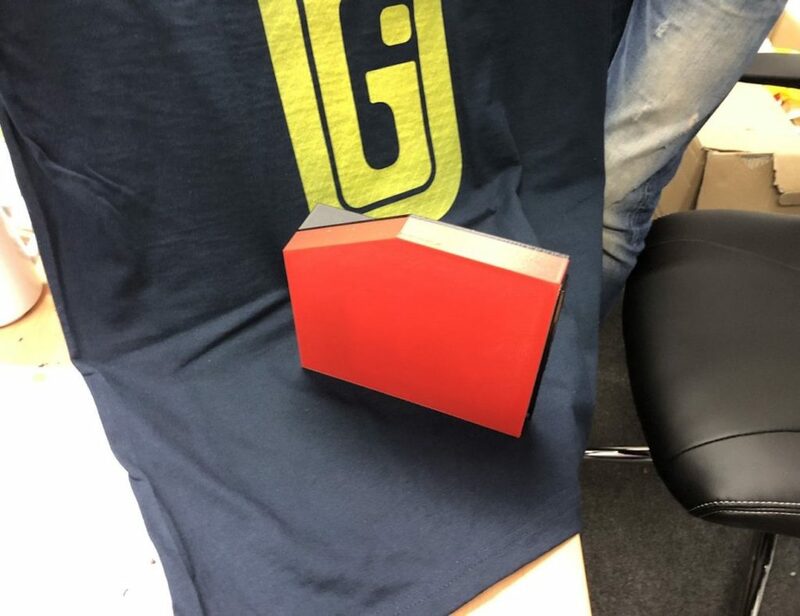 The public seems to agree as they smashed their Kickstarter goal by more than 18 times their target. HidrateMe is available for pre-order for $46.95 (£30) and will ship at the end of the year.